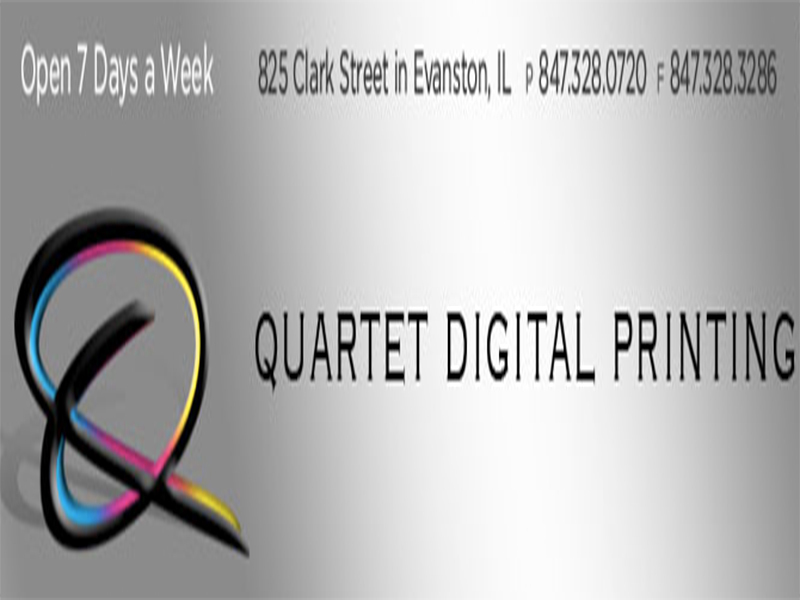 Quartet Digital Printing, formally known as Quartet Copies, offers a full range of digital printing, wide format printing and copying services. 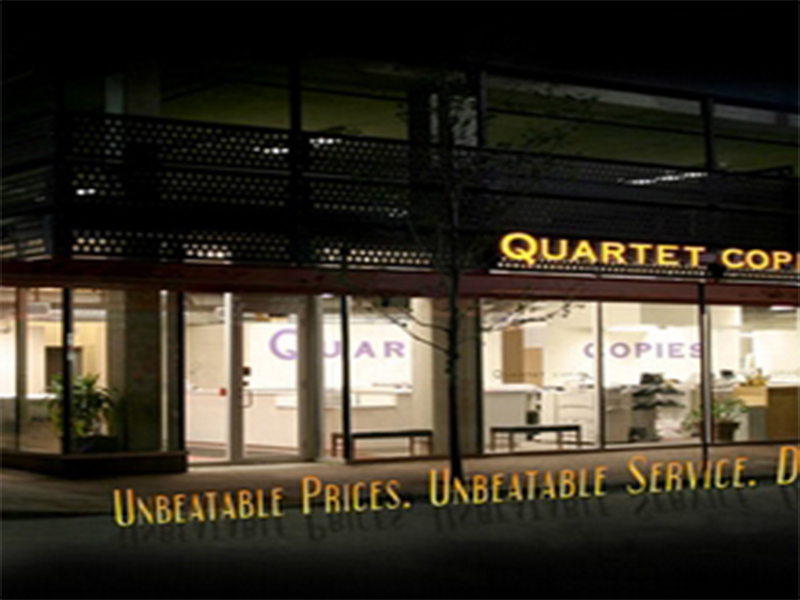 Small companies, large businesses, hospitals, Northwestern University, students and faculty all depend on our friendly customer service, creative capabilities and deadline oriented sensibilities. We are here for all your personal and business project needs - marketing materials, presentations, artistic or academic projects!